Social gaming is one of my favourite past times, particularly in recent times in the Online world of Grand Theft Auto. 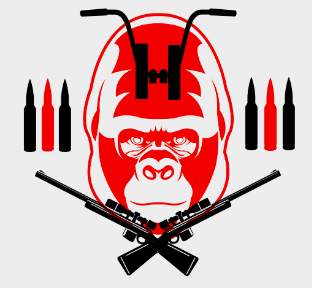 Together with two of my good pals I am the president of the Hells Harambe’s Motorcycle Club. We grow pot, we cut coke and we manufacture meth in a large scale operation which takes the tender loving care of all three of us (and sometimes some ring ins). Running a shady criminal empire probably wouldn’t be anywhere near as fun as it sounds without having a couple of mates on the other end of a headset to share a laugh and some strategic murdering with. Waddell & Peng (2014) explored this subject in their research paper Does it matter with whom you slay? The effects of competition, cooperation and relationship type among video game players and found that “cooperative game play was found to predict increased cooperative behaviours and trust in their partner” Personally I am inclined to agree with them on this as I have complete trust in my second, both in virtual reality and in real life where we are good friends, however I don’t know that this extends to makeshift alliances. Often if we allow an outsider into our clubs inner sanctum it will only be for a short while – and afterwards they will be “let go” as they are nothing more than fodder and would only be called upon if need be. After all, why buy the cow when you can get the milk for free? (And then shoot the cow in the head). But social gaming to me means so much more than online shooters or fantasy roleplaying. Roleplaying, in the traditional sense of words on paper, has been a part of my life for the best part of the last 10 years in one form or another and I have loved it since I first encountered it. It is somewhat disheartening then as a long time “competitive writer” as some may call it to see that our art is not even thought of in the new media society where social gaming seems to have replaced old fashioned communities with fast, money grabbing apps on social platforms like candy crush. The subject of the evolution of traditional roleplaying was explored in this previously published case study.